In roughly 1929, The Hubble constant was discovered and can be defined as the ratio of the speed of the recession of a galaxy (due to the expansion of the universe) to its distance from an observer. The Hubble constant is not actually a constant, but is regarded as measuring the expansion rate. 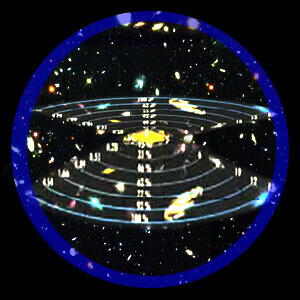 Astronomer observer the galaxies in the universe all moving away from each other as if they where being stretched out. Imagine the universe is like a balloon, this balloon (the universe) has on it multiple black marker markings on it (galaxies) as you blow up the balloon (stretch it out) all the galaxies move farther away from each other. For the past 70 years astronomers have sought a precise measurement of Hubble’s constant, ever since astronomer Edwin Hubble realized that galaxies were rushing away from each other at a rate proportional to their distance, i.e. the farther away, the faster the recession. For many years, right up until the launch of the Hubble telescope — the range of measured values for the expansion rate was from 50 to 100 kilometers per second per megaparsec (a megaparsec, or mpc, is 3.26 million light years). The team measured the Hubble Constant to be 70 km/sec/mpc, with an uncertainty of 10 percent. This means that a galaxy appears to be moving 160,000 miles per hour faster for every 3.3 million light-years away from Earth. Why did God Create so Much Space? Many exclaim, it just doesn’t seem possible that so much space could exist and we are the only ones in it, or what a waste of space if this is the only inhabited planet in the entire universe. Theory of Anthropic Expansion – “As a tent to dwell in,” (Isa. 40.22) perhaps in the original plan of creation, God whom created mankind to live forever had a plan for mankind to expand throughout the entire universe, as this was to be our “dwelling place”, and as a growing population would continue to need a bigger place, God created just such a universe for us to live in?! Of course because of the fall of man, and the degeneration of the universe God will have to one day re-create all things.